Half cents were discontinued in 1836, but proofs of this new design were struck from 1840 to 1849. Circulation mintage resumed in 1849. 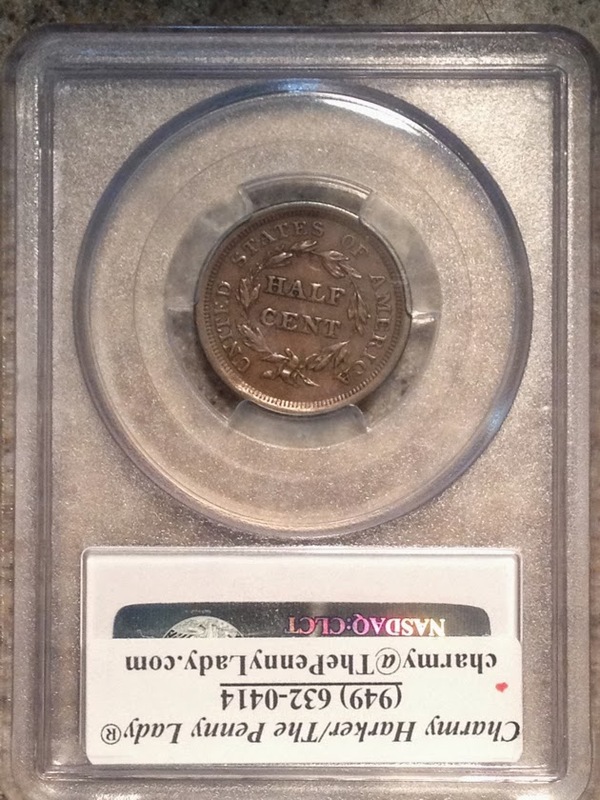 The braided hair half cents all have very low mintage. The 1851 was the largest mintage, but that was only 147,672 pieces. This 1856 is even lower at just 40,340. Again, although very few of these remain available to collectors, there are not many who do collect them, so prices are quite affordable. 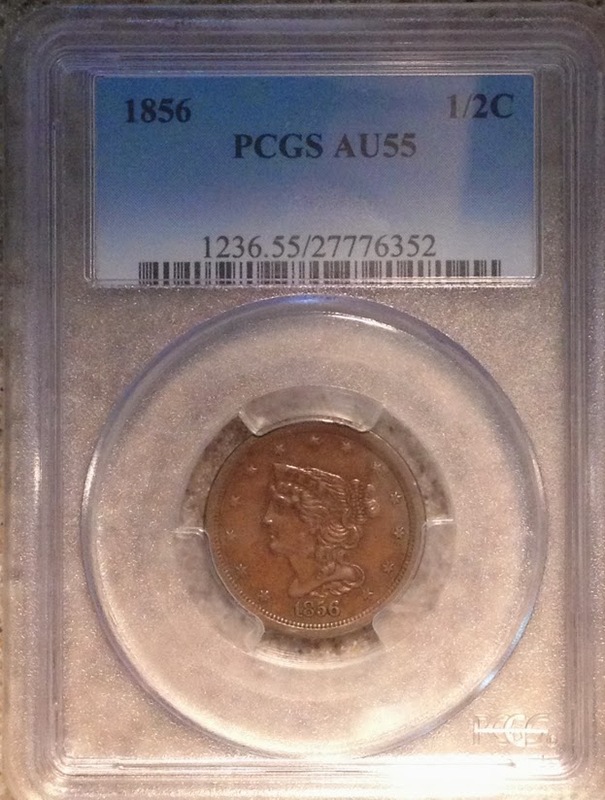 Nice condition coins like this can be found for $200 or less. 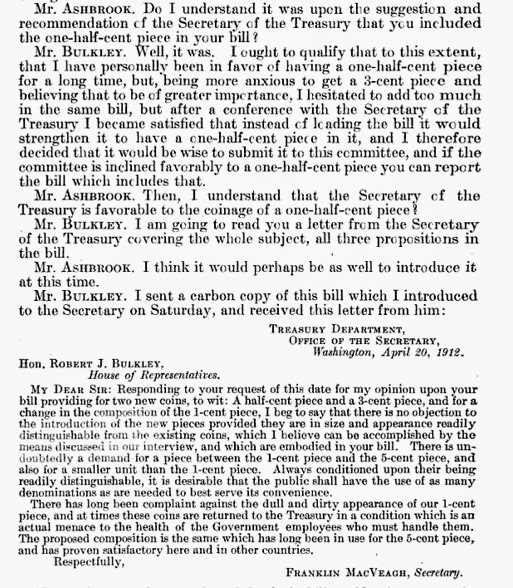 The proofs of 1840 to 1849 were also restruck (illegally, but by the Mint) in the 1850's. The dies were finally destroyed after more restrikes in 1860. United States. Congress. House. Committee on Coinage, Weights, and Measures - January 1, 1912"
Oh, sometime, probably. Half cents are one of my favorites.